General Admission. All shows are improvised. All sales are final. Doors open 15 minutes prior. 18+ suggested for most shows. Check out our FAQ for more info. 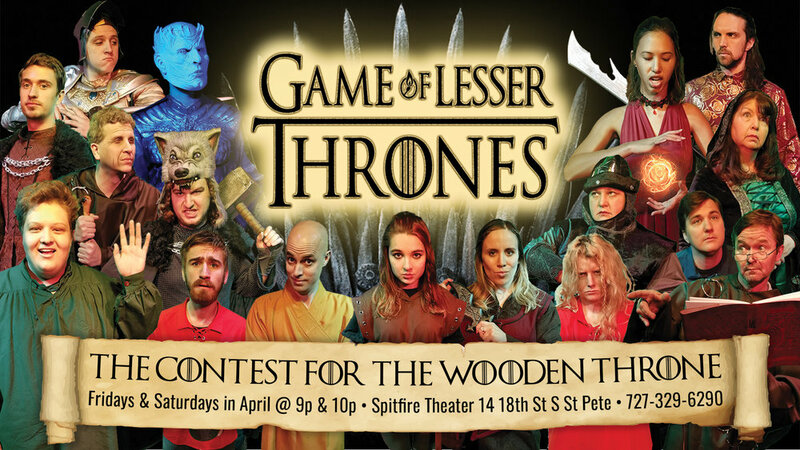 Winter is Coming to Spitfire Theater in April 2019! Winter draws near. The Maester of the Lesser Houses has gathered nobles to prove their right to sit upon the Wooden Throne. A series of conquests will decide the fate of the absurd, poorly managed, and absolutely blasphemous families of Westeros.